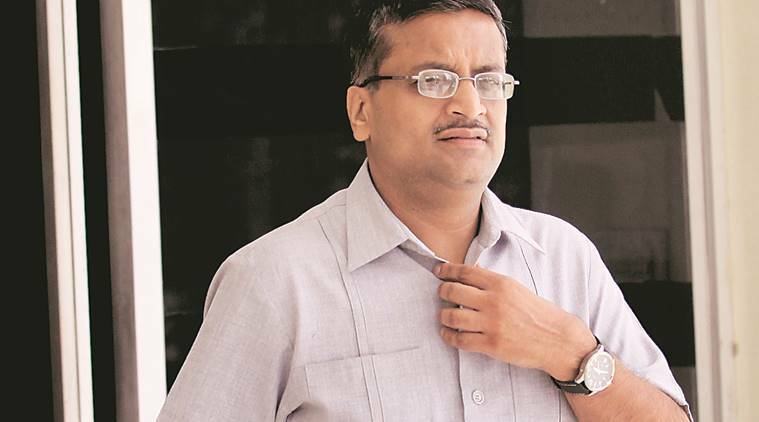 STATING THAT the “severe constraints in which an honest and upright officer works under the political leadership are well known”, the Punjab and Haryana High Court Monday set aside the adverse remarks made by Haryana Chief Minister Manohar Lal Khattar in senior IAS officer Ashok Khemka’s performance appraisal report. Ashok Khemka had sought to expunge the remarks made by Khattar in his annual performance appraisal report (PAR) for the year 2016-2017 and restoration of the overall grade of 9.92 given by the Reviewing Authority — in this case, Cabinet Minister Anil Vij. Earlier, the reporting authority, the Chief Secretary, had also praised Khemka in his remarks but given him a grading of only 8.22. In his remarks, Vij had written that “despite being in a relatively unimportant post, Mr. Ashok Khemka has shown excellent achievements under severe constraints. He is very innovative and was the first to use WhatsApp in court proceedings to effect service upon the respondent”. Vij had also said his “immense potential” can be used better by the government. Khattar, however, had said neither the reviewing authority nor the officer himself has specified any “constraint”, and concluded that the “report of the Reviewing Authority is slightly exaggerated”. Ruling that the remarks recorded by Khattar are liable to be expunged, the division bench said it is incorrect to record that the reviewing authority has differed with the reporting authority without any reasons. “Even Accepting Authority has not made any adverse remarks regarding the integrity of the officer,” the court said. On Khattar’s remark that there is no direct reference to any constraint by Vij or the officer, the division bench was of the view that some matters are “better understood than said in expressed words”. “The severe constraints in which an honest and upright officer works under the political leadership are well known. There are so many pulls and pressures and the officer has to work according to the rules despite all these pulls and pressures. The Reviewing Authority has recorded that the petitioner is well known in the country for effective professional integrity under very difficult circumstances,” the judgment stated. Khemka was represented by advocate Shreenath A Khemka in the matter before the High Court as well as the Central Administrative Tribunal (CAT). In December 2018, the Tribunal had dismissed his application, saying that the accepting authority — the state’s Chief Minister — wrote the appraisal report within the limit prescribed under the rules. Shreenath had argued that in the appraisal report for the period from May 8, 2016, to March 31, 2017, the accepting authority wrote the remarks on December 31 of 2017, a date after the set timeframe. He said that no decision has been taken on Khemka’s representation of July 2018 till date. It was argued that the failure of the accepting authority to decide the representation within the prescribed time means the views of the reviewing authority have acquired finality. However, the division bench said the timeframe is only a technical aspect, adding the counsel has also argued the case on merits. The court ruled that both the remarks and grading given by the accepting authority are set aside and the grading of 9.92 as given by the reviewing authority will prevail. Khemka, a 1991-batch officer, shot into limelight in 2012 for cancelling the mutation of a land deal between Congress president Rahul Gandhi’s brother-in-law Robert Vadra and DLF. In a career spanning 21 years, the 52-year-old has been transferred 52 times.